VIP picks for home viewing – from Children’s Film Festival Seattle child jurors! 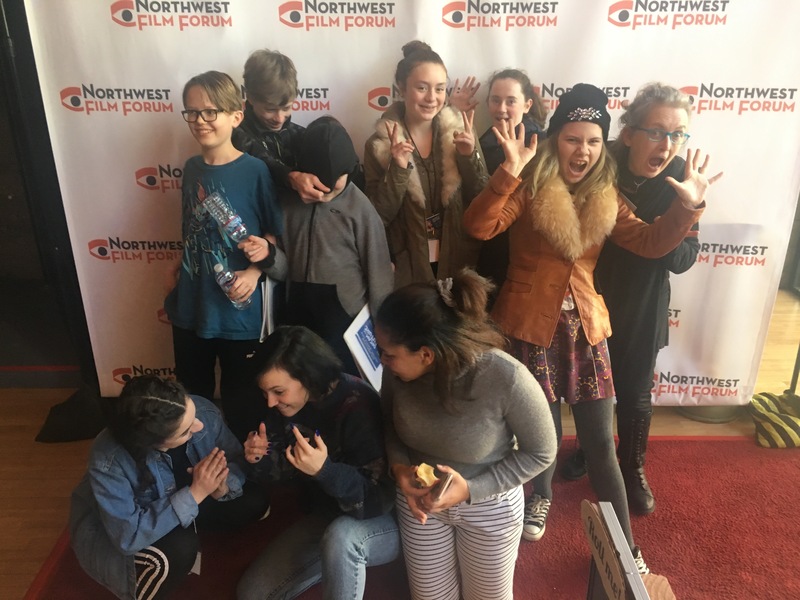 Almost 30 savvy film critics will soon be empaneled on Capitol Hill for a marathon of movie judging at Northwest Film Forum — all part of the upcoming 14th annual Children’s Film Festival Seattle. These judges — members of three different juries of the festival — will see more than 50 shorts and feature films selected for the competition, and then award prizes that are highly coveted by international filmmakers. Appropriately and best of all, the jurors are all children themselves, ages 8 to 16. The festival bows on January 24 and runs through Feb. 9, with a heavy schedule of screenings at Northwest Film Forum. Throughout the duration of the festival, jurors will watch films, engage in spirited discussions, and nibble through a mountain of popcorn before they decide their prizes. Becoming a juror itself is a competitive process — new jurors are required to an application process that includes submitting an essay describing one of their favorite films. So what are these young people watching, and why are they so eager to see a slate of international films at Children’s Film Festival Seattle? Sylvia Sargent, a 10-year-old who is getting ready for her first stint on the festival’s Catbus Kids Jury, suggested two animated films as among her favorites — Coraline and Song of the Sea, praising the “quirky stop-motion” of the first film and the “emotional storytelling” of the second. Alice Barton, who is almost 11-year-old, cited a more grown-up film, Oceans 8, as her current favorite film, because of its female protagonists. The second-oldest group of jurors, The Fantastic Foxes, are 11 to 14-years old, and some essays submitted by new jurors revealed the sophistication of cinephiles much older in years. Bianca Sennhauser, age 12, recommended The Hate U Give citing its powerful messages about police brutality and racism. “It’s nice when films have cool morals, because I like when the film really sticks to you and when you immediately think ‘Wow, I want to watch that again, Right Now’’, Sennhauser wrote. Another new member of the Fantastic Fox panel, Aryan Kollaram, recounted his experience, while growing up in India, of watching Bollywood movies as a qualification for serving on the jury. But he also made it clear that since moving to the United States, he’s fallen in love with American movies, including independent films. “Clever writing, original action choreography, and realistic dialogue can greatly impact the success of an independent movie,” he wrote. Another new juror, Simar Khanuja, said his experience playing different instruments and performing in musical theater was a reason that The Sound of Music was one of his favorite films — and one he had watched over and over. But one new juror — 14-year-old Milo Bradley, won the heart of Festival director Elizabeth Shepherd, and his place on the jury, by recounting his long childhood experience attending Children’s Film Festival Seattle. “I have been going to the film festival since I was two and a half years old,” Bradley wrote. “There are many films from around the world and you get to see the kids’ different perspectives. This year, I cannot wait to see Supa Modo! Audiences of grown ups and kids alike can join the jury kids at this year’s Children’s Film Festival, and get globally aware with almost 150 films from 39 countries. The fun will kick off on opening night, at 7 p.m. Thursday, Jan. 24, with a singalong celebration of the 40th anniversary of The Muppet Movie, at SIFF Cinema Egyptian. For more information and tickets, visit www.childrensfilmfestivalseattle.org. ← New Releases for January 15!